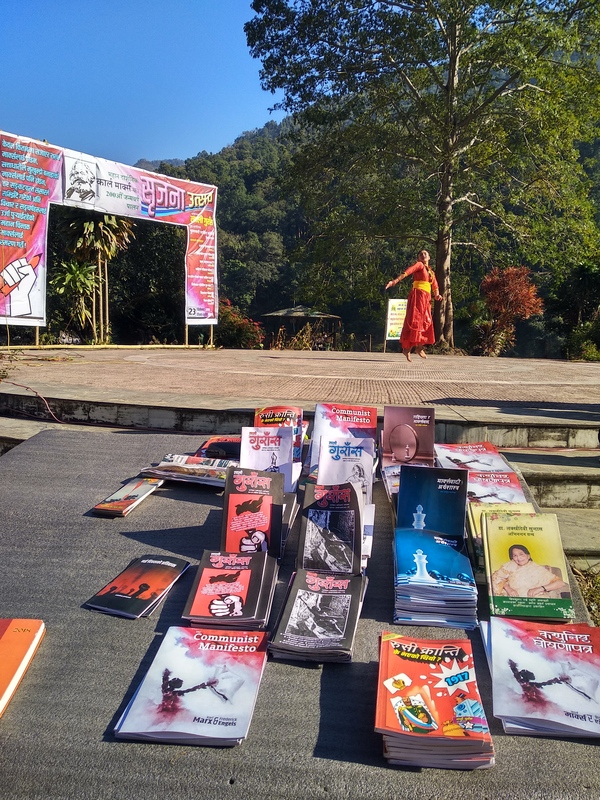 On 23rd December, Laali Guraas, a bi-monthly newsletter in Nepali language that is being published from the Darjeeling hills for the last 5 years, together with the Phulbari Sahitya Samiti, conducted a cultural festival “Srijana Utsav” to commemorate the 200th birth anniversary of Karl Marx. 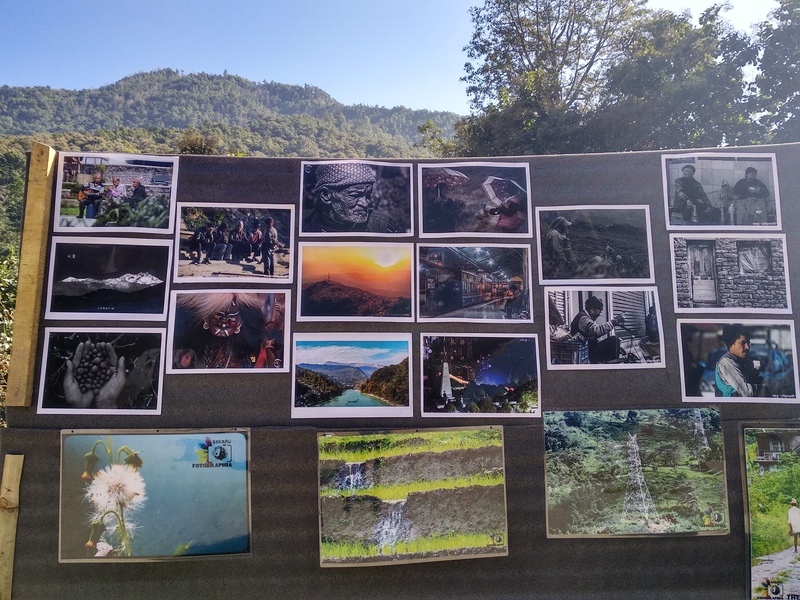 Several cultural, social and political organisations from the hills and Dooars, came together for the program that took place at the scenic Tribeni junction of Teesta and Rongit rivers, in the the Himalayan hills of Gorkhaland. The program that was centered mainly on the issues and struggles of tea garden workers in the region, was attended by workers from several tea gardens in the hills, including workers committees from the Peshok and Dhotre gardens. A GroundXero report. 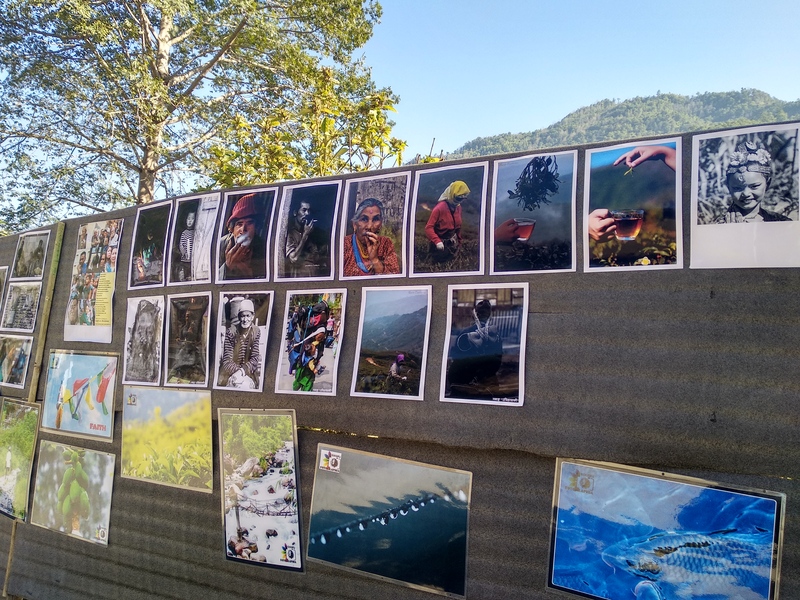 Numerous workers, artists, singers, poets, journalists and teachers came together at the Teesta-Rongit Tribeni junction in Darjeeling district on the 23rd to commemorate German philosopher Karl Marx and his ideas about the emancipation of labour and humanity. Highlight of the meeting co-organised by Laali Guraas and the Phulbari Sahitya Samiti along with various other cultural and social organisations, was the release of 4 new publications: the Communist Manifesto in Nepali and English, a short introduction to Marxian Economy in Nepali, and a brief outline of Marxism and the Nationality Question, in Nepali. Several individuals and organisations had traveled from Kolkata and other districts of West Bengal to take part in the meeting. Through the day, several cultural programs including street plays, poetry, and songs and dances brought out the anger and resentment against the current order of things. While some performers mocked the BJP MP from the area, Montek Singh Ahluwalia, for his complete absence from anything to do with the lives of people here, others called out the mainstream Gorkhaland statehood agitation for shunning the demands and issues of the tea garden workers. The most noticeable feature was the participation of youths and students from various sections of the society, including many who were reading and discussing Marx and his ideas for the first time. GroundXero talked to few of the young participants and organisers of the program. Below is a snippet of what they had to say on questions of the relevance of Marx in today’s context , on the need for a new Nepali publication of the Manifesto, the issue of Gorkhaland, on the question of gender struggle, and particularly on the issues of the tea plantation workers. Member of Laali Guraas from its initial days. She is doing her PhD at North Bengal University. In the context of Darjeeling, the easiest way to talk about the relevance of Marx and Marxism is to talk about the state of the tea gardens. Darjeeling is the producer of some of the finest tea in the world. If you look at the mainstream representation of the tea-workers from the hills, you will find happy-looking pretty women tea workers dressed up in colourful clothes, plucking leaves in the gardens. Nothing could be further from the truth. The entire profit, which is a big amount anyway, is pocketed almost completely by the garden owners. That profit is also not invested back into the gardens. The situation of the workers here is terrible. A large number of tea gardens have been shut down. The workers are not being paid their wages, or Provident Fund etc. The owners literally run away when the workers approach them with their rightful demands. And they run away with the money that the workers have generated through their labour. These stories are being actively gagged by mainstream media. To understand this exploitation, Marx and Marxism still are relevant. 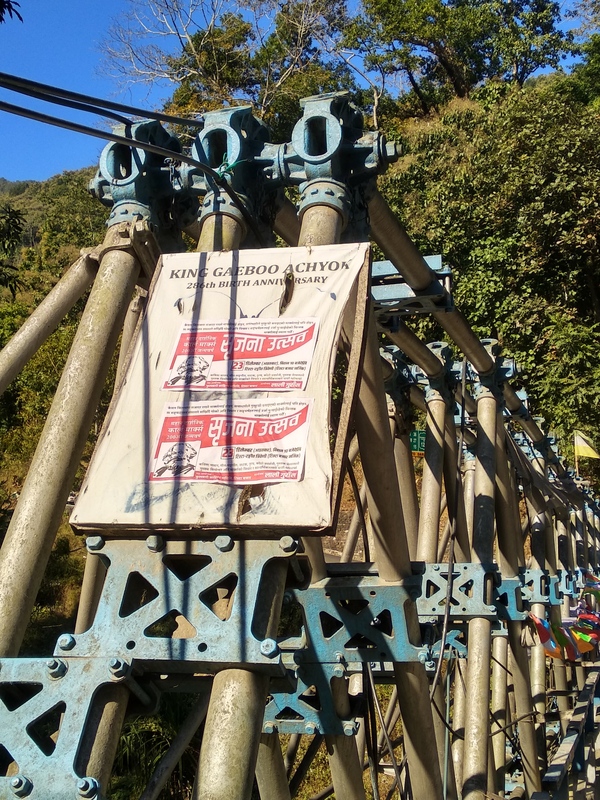 Through Laali Guraas, we write about the workers’ issues, going beyond the usual mainstream media obsession with Darjeeling’s power-mongering political parties. Not just workers’ issues, but also about the struggles around caste, gender, etc. We have tried to ensure that the language we write in is the simple spoken language, so that maximum number of people, particularly the tea garden workers themselves, can read our newsletter. 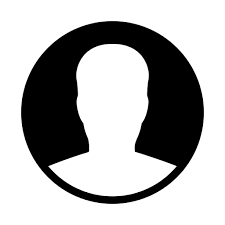 One of the issues we focus on through the magazine is the issue of gender. Almost 90% of the tea workers are women. But you won’t find women typically in the leadership of the trade unions. Women workers still remain the foot soldiers of the trade unions. All decisions are taken by the male leadership. Another aspect is the double oppression that the women workers face – from the garden owners as workers, and also from the men in the private household as daughters, wives or sisters. Marx said “8 hours work a day”, and because of the workers’ struggles, the tea garden work is now an 8-hour work day. But for the women, they have to put in their labour in their homes before they go for plucking leaves, and they again have to resume their domestic labour once they are back from the gardens. Splitting their 24 hours between the garden and the home, they have got no time left for political participation. 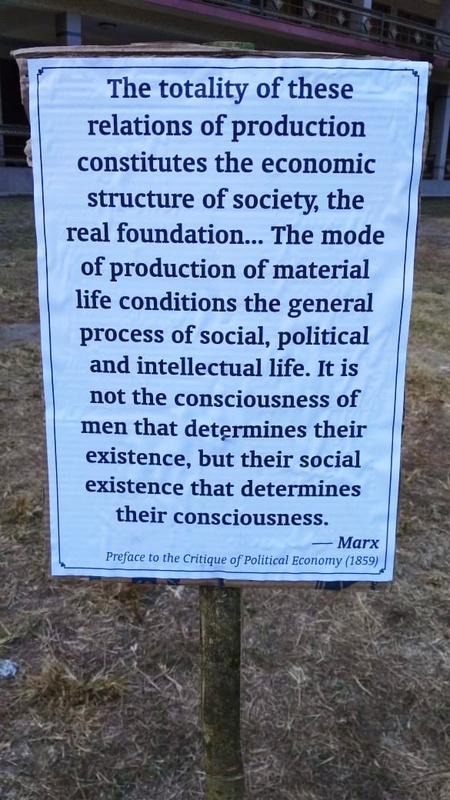 I think young people of our generation do connect with Marx, since the reality of the hills is such. It is one of rampant exploitation of the tea workers. You don’t have to import Marx here. Marxist ideas are organic to the people here. But at the same time we had to challenge the ideas that the established, so-called Marxist political parties have historically perpetrated here, in the name of Marxism. Laali Guraas, although new and young, has taken this initiative. We want to focus on the working class of the hills. We don’t talk about only Gorkhaland, unlike every other party in the hills who know that the “Gorkhaland trope” is an easy way to gain legitimacy and following. We ask “What kind of Gorkhaland?” We ask why is it that the workers’ voices, women’s voices, dalit voices are not heard in the typical Gorkhaland agitation? Why are their issues not important for those who want to fight for a separate Gorkhaland? We ask, after a new Gorkhaland, what? What happens to the workers, the women, the dalits, in the new Gorkhaland? I am from Sikkim. Sikkim is a relatively small state of India. Capitalism which entered Sikkim with its imperialist character is slowly and gradually destroying the ecology of the hill state. A number of dams have been constructed in the hills, violating all kinds of environmental and ecological norms. There is a clear lack of rational logic which is essential for progress and development of any society. It is clear to us that this is not just an oversight, but a conspiracy by the bourgeois class for sustaining this exploitative capitalist system. To overthrow this, and for the emancipation of labour and humanity, it is absolutely necessary to carry out such struggles and we feel that is where lies the importance and relevance of Marx. Not only for the hills, not only for Sikkim or India, but for the entire planet. Today as we see all over the world, economic polarization has reached a height that was never seen before. Karl Marx had predicted this 170 years back. Here in Darjeeling, the crisis of the tea industry, the situation of the tea workers is very immediate. Marx had proposed a way forward for our society, towards building an equal and just world, but there are forces that are opposed to such ideas. Today we must fight against such forces, for the survival of humanity. The main obstacle to such progress of humankind is capitalism. And today we need to re-read and remember Marx to figure out how we are going to uproot capitalism. The mainstream Marxist parties think that Marx is their property. But from the history of such parties in the hills, and also elsewhere in the world, people have also equated Marx with bourgeois parties. When we were campaigning for this program, people asked us, “Which party are you from?” Marx is no one’s private property, definitely not of the bourgeois parties. Many of the young people here today are learning about Marx for the first time. None of the people you see here are in any bourgeois “Communist” party. It is not just activists who have come for this meeting, but also artists, poets, workers – people from all walks of life who want to know Marx. As far as the Gorkhaland agitation is concerned, we coined the slogan of “Democratic Gorkhaland”. Initially, the issue of Gorkhaland was only about the territorial claim and self-rule. We raised the questions of democratic rights in Gorkhaland – the rights of workers, women, farmers. Last year we took out a mass rally across the hills under the name of “Pahal”, and we took the slogan of Democratic Gorkhaland to every corner of the hills, from Darjeeling to Mirik to Kalimpong to Gorubathan. I don’t see the identity question of a separate Gorkhaland to be in any contradiction with Marx’s ideas of class emancipation. 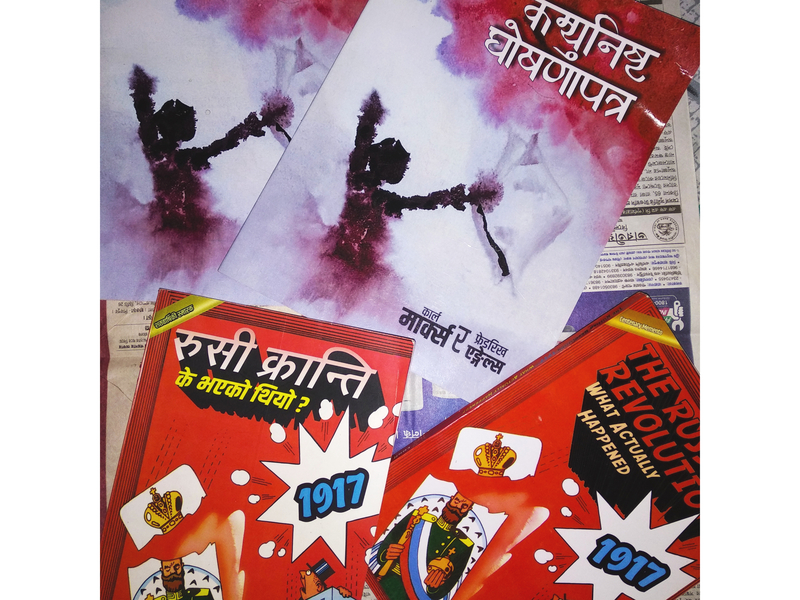 That is why, together with the Communist Manifesto, we also released a Nepali booklet on “Nationality and Marxism”. There are extensive Marxist theories around questions of Identity and right to self-determination, but the bourgeois communist parties here haven’t found it necessary to discuss those. The danger about identity politics is that when it flares up, it shadows every other issue. The same thing we saw during the Gorkhaland struggle here. It overshadowed other fundamental issues such as workers’ rights, women’s rights etc. We are still battling hard to bring those issues back to the forefront of struggle. This is where the demand for a Democratic Gorkhaland is essential – it is a way to say that all these struggles must go hand in hand and strengthen each other. All philosophy in the world can be broadly classified into materialist and idealist. Marx’s philosophy is a scientific materialist philosophy. If we are to tackle any of the issues faced by people anywhere in the world today, we cannot escape the need to look at society scientifically. Marx and his dialectical materialism are one of the key proponents of such a way of looking at the world. Once you understand this philosophy, it becomes clear that the only way to build a just society is to uproot capitalism through revolution. This cannot be achieved through any vote politics, or by replacing one political party in power with another. We have to scientifically analyse the politics of our national, state-level and regional parties, including the ones whose names bear words like “Communist”, “Socialist” or “Revolutionary”. We also have to analyse the capitalist world order – be it capitalism in the form of imperialism, fascism or neo-liberalism. We have to go beyond our regionalist, or even nationalist aims, and think in terms of an internationalist politics. For example, if you see what is going on in France right now with the Yellow Vests movement, why are such struggles happening today in every corner of the world? And this is where I think the importance of reading and understanding Marx lies. I am not suggesting to take Marx in an absolute sense. No scientific idea works like that. Science is not static, in fact it is all about change. We have to constantly engage with a scientific idea, and work on it, and update it. That is where we have collectively failed when it comes to reinventing Marxism. 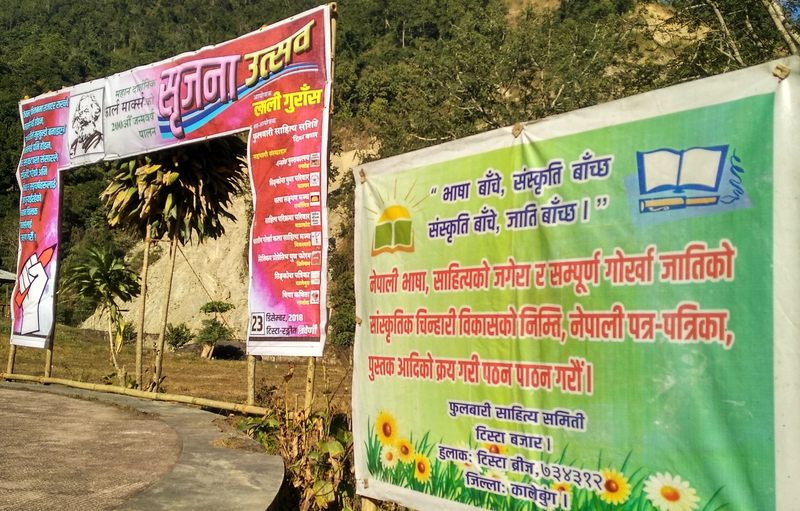 This new Nepali translation of the The Communist Manifesto is more comprehensive, and written in simple form, so that it can reach to a greater mass of people. The previous translations were from Nepal, and had difficult language with complex sentences that made it more obscure. We have tried to break that with this publication. Plus those earlier publications have long gone out of print. The relevance of Marx in the hills is no different from, say, his relevance in Kolkata. Just like the jute mill workers’ situation there, you have the tea workers’ issues and their struggles here. It is true that the dominant take on Marx is the one shaped from people’s experience with the so-called Marxist parties that operated in the hills historically. But it is also true that today we are seeing a growth of several small groups of young people across the hills, who are trying to rethink and rediscover Marx. For instance, today here we have young people and organisations that have joined us from Sikkim, for the first time in such a way. These groups are trying to take Marx beyond any party program, and talk about his ideology and philosophy. We are all trying to give a new expression to Marx’s ideas, in the context of today’s times. One such context is the struggle for a gender just society – one of the questions Laali Guraas specifically focuses on. We think it is not possible to build a gender equal, gender just society, unless we address other equally fundamental questions such as those of labour and class. In a capitalist society, the oppression of women is central, and their emancipation is impossible without the breakdown of capitalism. In the tea gardens for example, even now you won’t find women in the workers’ union leadership, although the majority of the tea workers are women. For a long time here, even the wage was not equal across gender lines. In fact, one of the historic reasons for the recruitment of such huge number of women in the gardens was because they could be paid less. It was after long battles that now finally we have equal pay for men and women. But even now you won’t find women in the public political leadership, when it comes to taking political decisions or making speeches. We still have a long way to go. 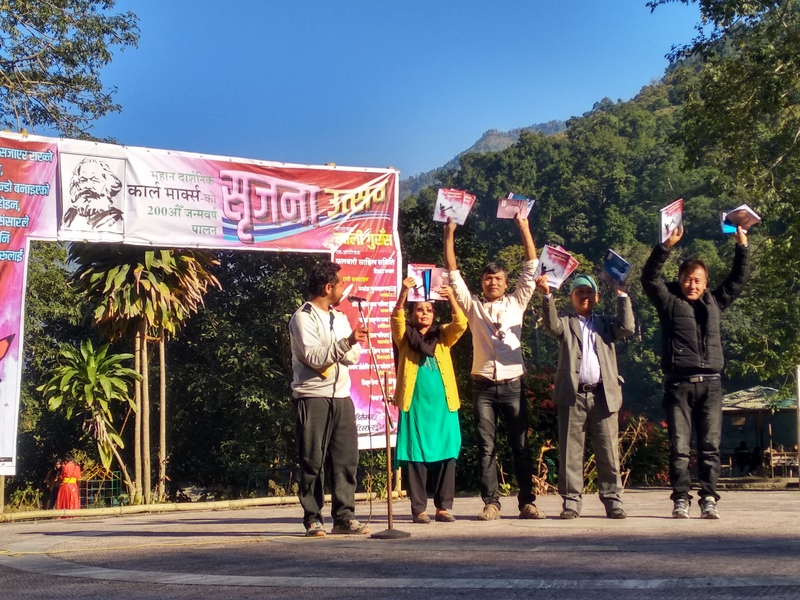 Official release of the Communist Manifesto in Nepali by (from left to right) Shanti ‘Sahara’ (poet), Manoj Bogati (poet and journalist), Sukraj Rai (Dooteriah tea garden), Sharan Rai (President, Peshok Tea Garden Workers Committee). Chewang Yonzon (poet and journalist) is on the mic. The meeting ended as the sun set behind the hills overlooking Tribeni and the winter chill engulfed the valley. “This is just a beginning, we must carry on the task of reading and rediscovering Marx. It has been a long time since discussions on Marxist philosophy and politics has been taken on in a systemic way in the hills of Gorkhaland. 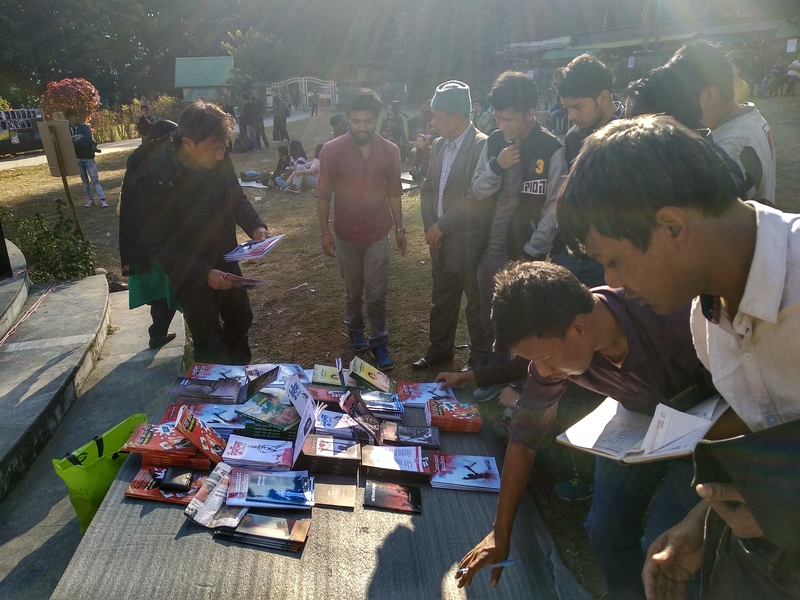 We think there is interest among today’s youth to get to know Karl Marx and his ideas, in their own ways,” said one of the organisers before formally closing the meeting.